Search for all "Goat IgA"
Porcine anti Goat Goat IgA. 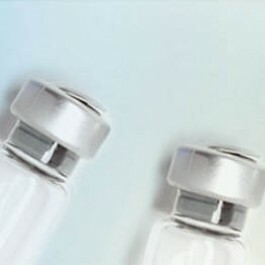 Product is tested for Immunodiffusion, Immunoprecipitation. Highly purified secretory IgA isolated from pooled Goat milk. Adsorption: Immunoaffinity adsorbed using insolubilized antigens as required, to eliminate antibodies crossreacting with other components of the immunoglobulin system or reacting with other serum or milk proteins. The use of insolubilized adsorption antigens prevents the presence of excess adsorbent protein or immune complexes in the antiserum. Can be used in precipitating techniques as immunoelectrophoresis and radial immunodiffusion to identify the presence of IgA in goat serum, milk or other body fluids or to determine its concentration. To prepare an immunoadsorbent for the purification of goat IgA from serum or exocrine secretions. Antisera to IgA do not discriminate between serum IgA (monomeric and dimeric) and higher molecular forms as secretory IgA. This antiserum is not intended for use in non-precipitating antibody-binding or other highly sensitive assays. This does not exclude such use if proper controls are include. Immunoelectrophoresis: Use 2 µl or equivalent against 120 µl antiserum. Double Radial Immunodiffusion: Use a rosette arrangement with 10 µl antiserum in a 3 mm diameter centre well and 2 µl serum samples (neat and diluted) in 2 mm diameter peripheral wells. Antibody Titre: Precipitin titre not less than 1/32 when tested against pooled normal Goat serum in agar-block immunodiffusion titration. Total protein and IgG concentrations in the antiserum are comparable to those of pooled normal rabbit serum. No foreign proteins added. The reactivity of the antiserum is restricted to the Fc part of the IgA molecule and to surface and hidden determinants of the secretory component as tested in immunoelectrophoresis and radial immunodiffusion. In immunoelectrophoresis using various antiserum concentrations against normal goat milk two precipitin lines may be obtained, one representing IgA and the other the free secretory component. Against normal goat serum only IgA is precipitated. No precipitation reaction is obtained with purified IgG, IgM, and IgG/Fab fragments. Cross-reactivity: The antiserum does not cross-react with any other component of the goat Ig system. Interspecies cross-reactivity is a normal feature of antibodies to immunoglobulins, since Ig of different species frequently share antigenic determinants. Cross-reactivity of this antiserum has not been tested in detail.